Like diplomatic parents, we will swear up and down that all birthdays are deserving of celebration. There are no small birthdays, only small parties. On the other hand, we do believe in making an extra to-do for milestone birthdays and anniversaries (the ones that end in fives and zeros). They mark the beginning of your next chapter of life, and by gosh, you deserve it. 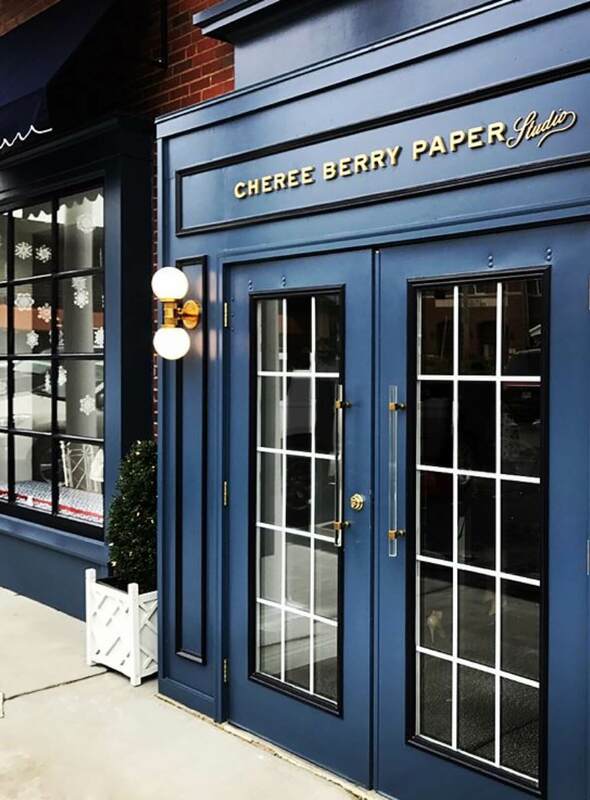 Our design partner, Cheree Berry (pronounced “shuh-REE ber-ree”), is the founder of Cheree Berry Paper in St. Louis and is a go-to stationer for hosts across the country thanks to her clever and conceptual style. Such thoughtful attention to detail can make all the difference in ensuring the guest of honor feels celebrated and every guest feels considered. Here are Cheree’s tips on planning and throwing a milestone or anniversary party (hint: it all starts with the invitation). Can you tell us a little about how you started and your philosophy on hosting parties? 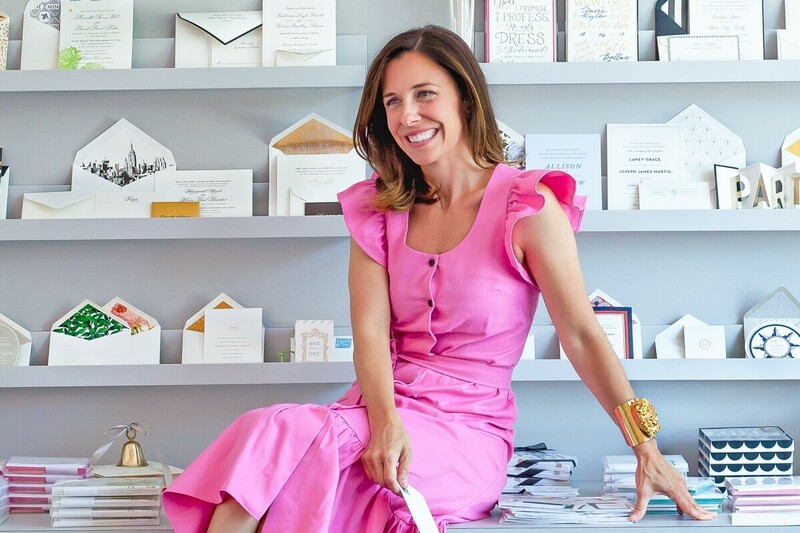 At Kate Spade, I was the lead designer on the company’s wedding stationery line, and yes, it was absolutely all the feels to work with Kate, Andy, and crew. 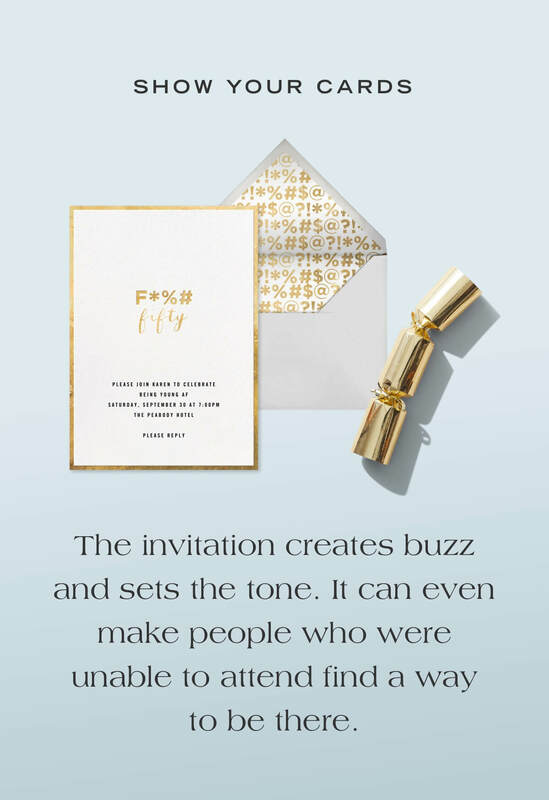 When I landed back in St. Louis, I decided to take what I’d learned and become an invitation designer. Cheree Berry Paper started with me on my laptop, and now a little more than a decade later we’re a studio of more than two dozen staffers. As far as my philosophy for hosting parties–make them delightful! When you focus on creating good conversations and celebrating the star of the party, you take people away from the day-to-day. Milestone birthdays and anniversaries are exciting but can be tricky to plan. Any tips on where to start? We love milestone birthdays and anniversaries. When thinking about an invitation for these momentous events, we first think about the guest of honor. That’s numero uno! But when it comes to painting the whole picture, we consider your theme, location, time of year, decor, attire, etc. Do you really need a theme? This is a question that can cause a lot of stress for our clients. 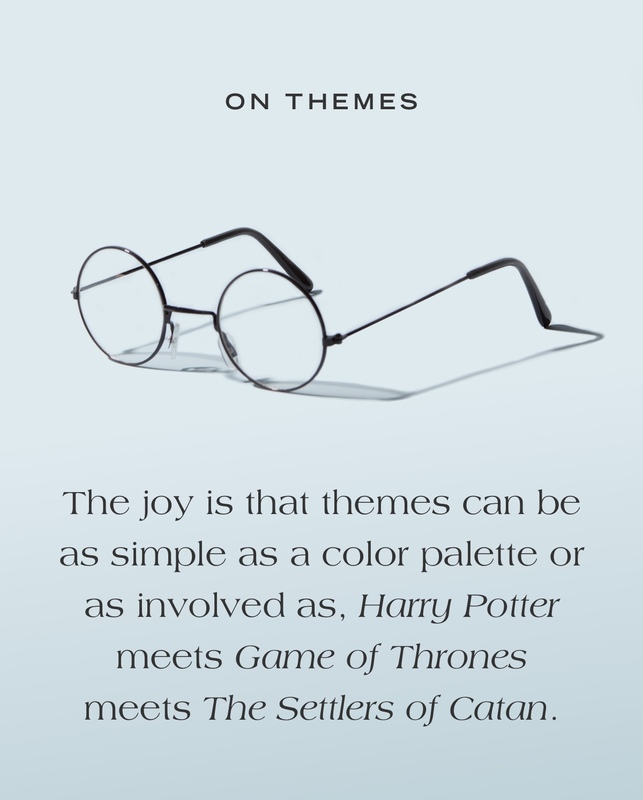 The joy is that themes can be as simple as a color palette or as involved as “Harry Potter” meets “Game of Thrones” meets “The Settlers of Catan.” When we meet with clients to talk about their party, we like to learn about all aspects of the celebration. And we love to know what style word defines you. If you had just one word, are you “classic,” “modern,” “vintage,” “handsome,” or “bohemian”? That helps clarify quickly. What moments are worth putting some extra thought into? The invitation, of course! It creates buzz and sets the tone. It can even make people who were unable to attend find a way to be there. 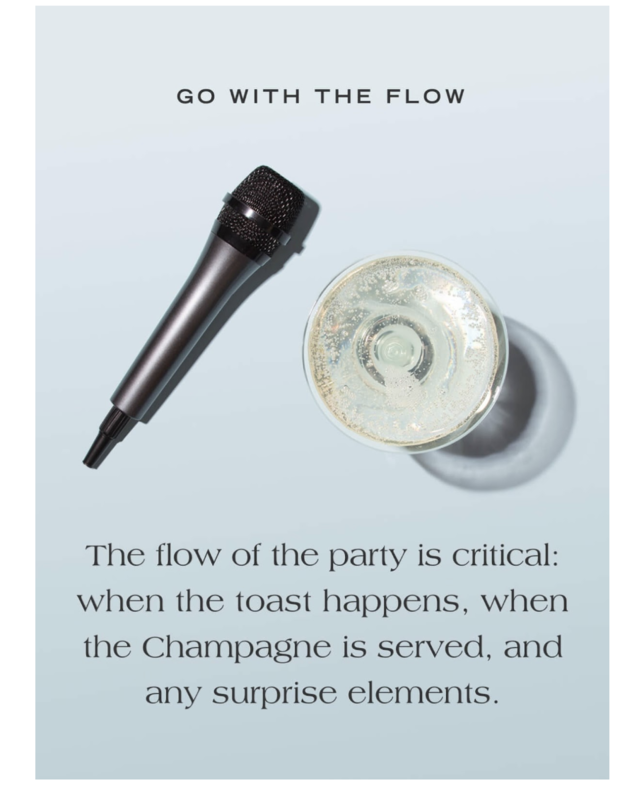 But the flow of the party is critical. When the toast happens, when the champagne is served, surprise elements, etc. Think all those through and designate someone to help you stay on track. How can you personalize a dinner at a restaurant or bare event space? Parties all have focal points—possibly more than you realize—that you can decorate: the entrance, the bar, the dance floor. An environmental graphic design can have a big impact on guests without breaking the bank. Are there activities you’d consider? Icebreakers are a great way to start a party! I prefer games of chance, so everyone can participate. 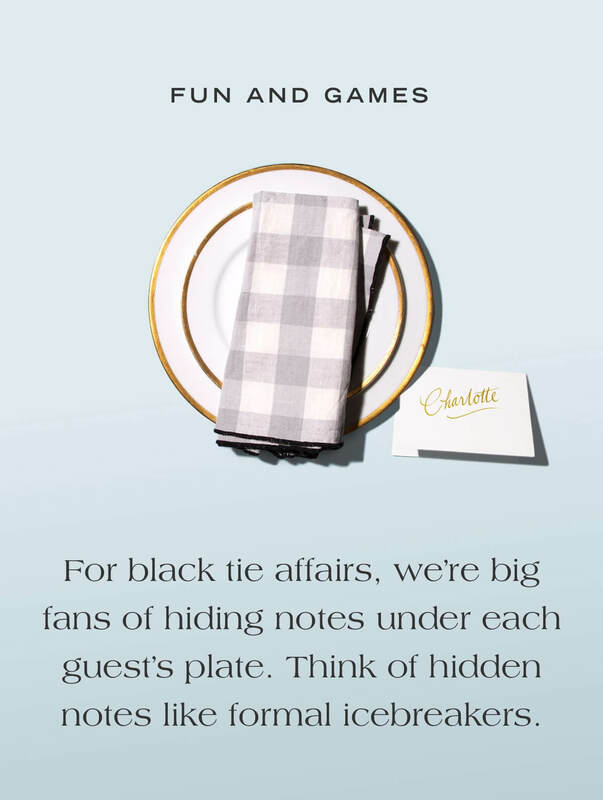 For black tie affairs, we’re big fans of hiding notes under each guest’s plate. Think of hidden notes like formal icebreakers. Is there anything to be sensitive about for those big decade birthdays or anniversaries? Best rule of thumb: Keep the guest of honor comfortable and avoid any awkward moments. If he or she is shy, perhaps pulling them on stage is not the right choice. If your celebrant is chatty, make sure the mic is hot. What’s a party element people tend to overlook? Parking. Try to see your venue in action before your event, so you can see what guests will go through to park. Besides parking, plan in advance where coats will be kept and, if necessary, figure out entertainment for kids. Keep the mic hot and the invitations cool. Browse our entire Cheree Berry Paper collaboration to find the theme that’s just so you. Images courtesy of Cheree Berry.